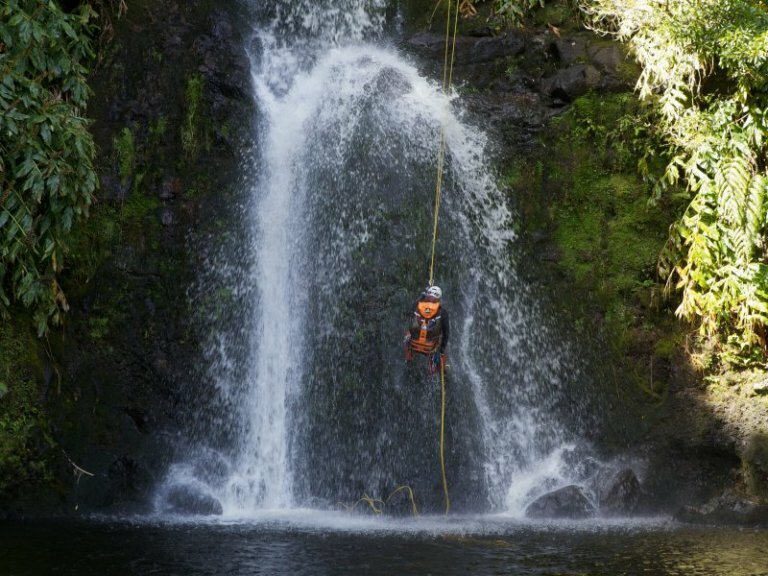 Explore the canyons of the Azores. A perfect activity for the adventurer in everyone! You’ll explore the unique landscape and geology of The Azores, starting with a short walk to the top of the cascading water. From here, take a deep breath, and slowly lower yourself over the edge.. Will you be brave enough to take a look over your shoulder? One step at a time, you’ll descend through the flowing water, and into the inviting rocky pool below! 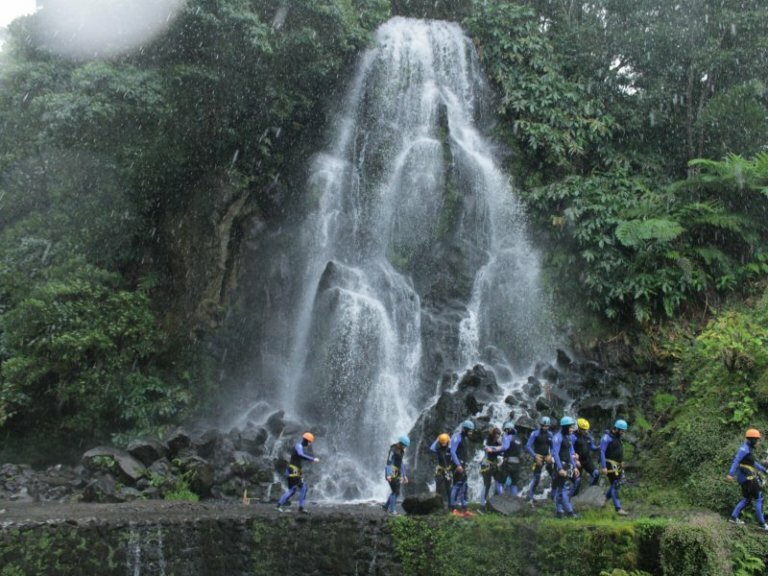 Even if you’ve never abseiled or climbed before, you’ll be guided through every step of the way, and your fantastic guide will make sure you leave with thrilling memories to last a lifetime!